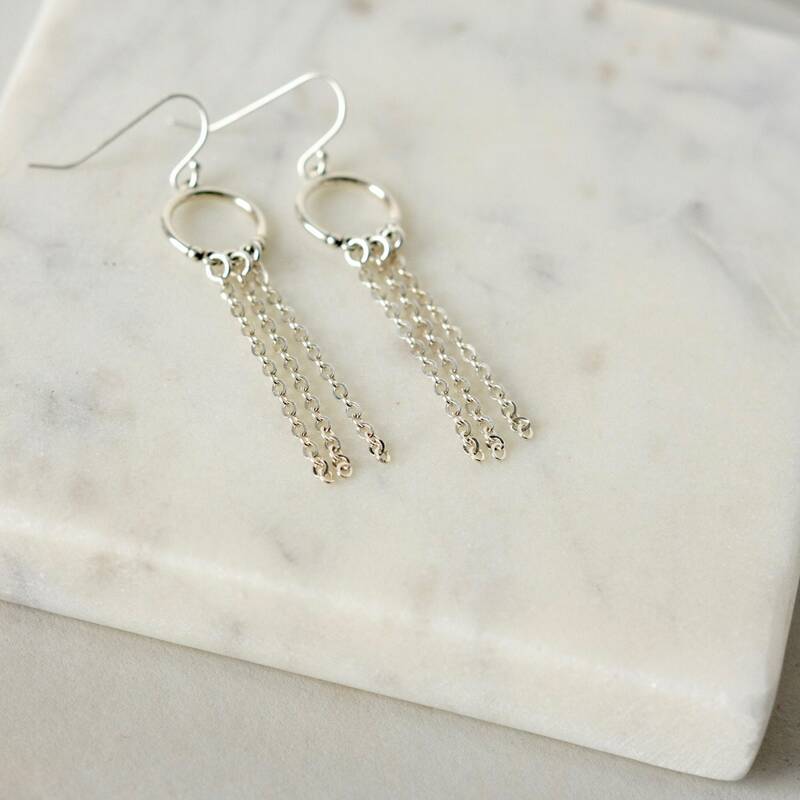 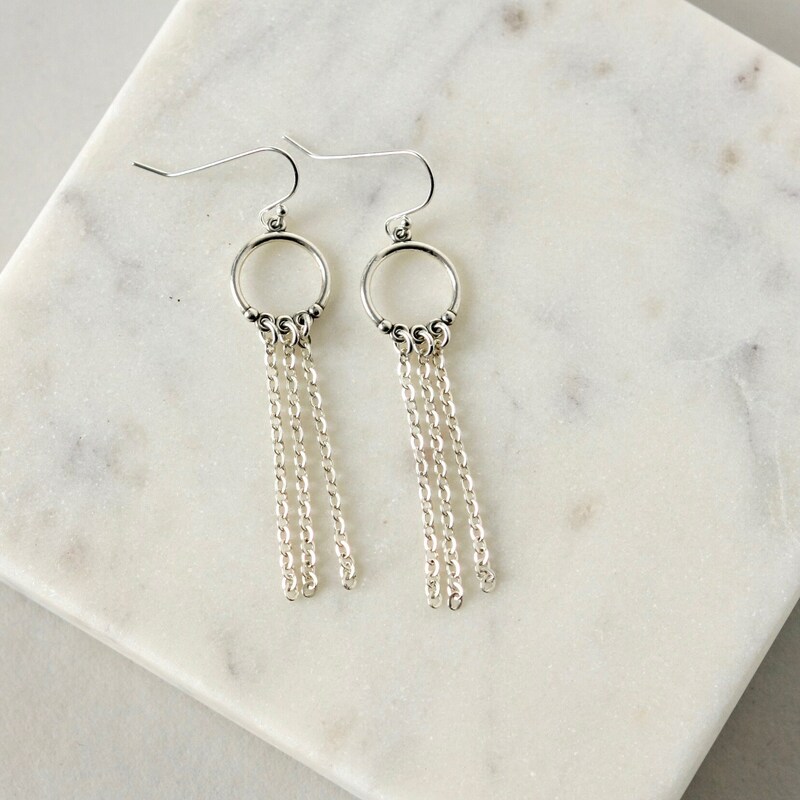 These chandelier earrings are stylish and sleek with nice movement. 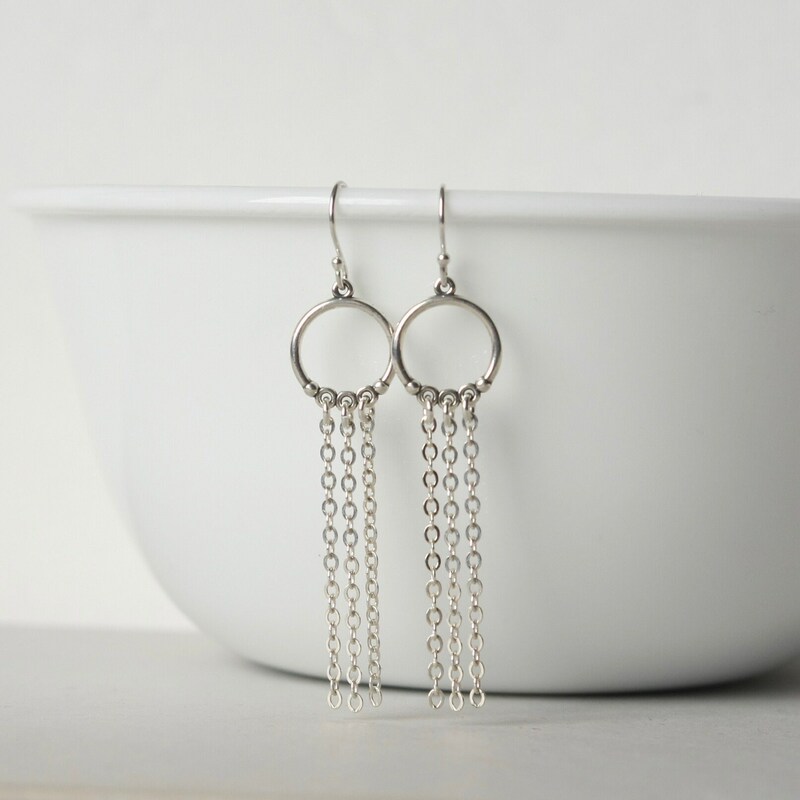 They feature sterling silver chain hanging from 13mm sterling silver circles. 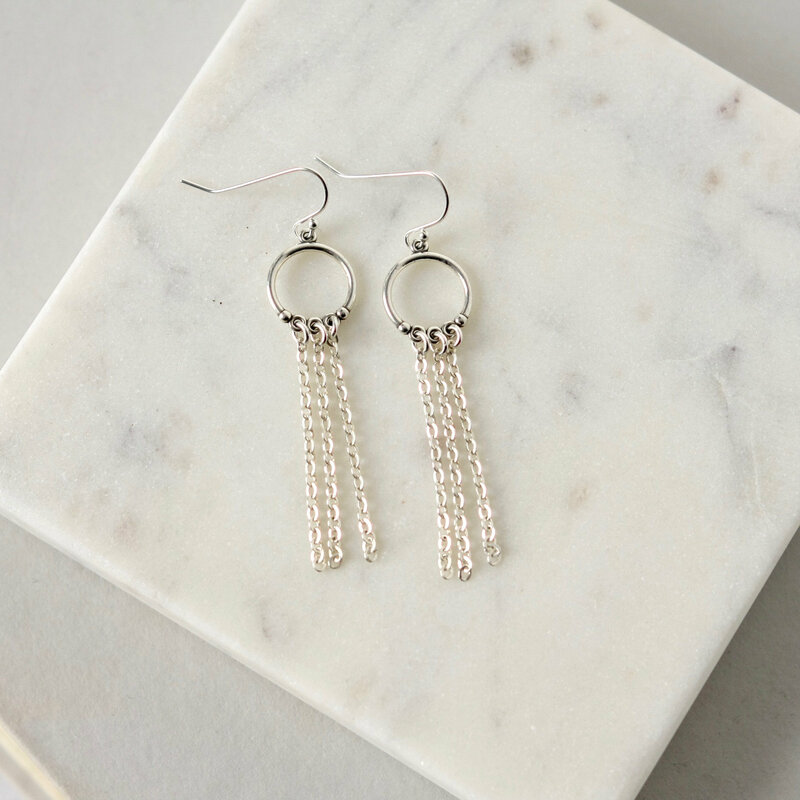 The chain is flat cable chain so it catches the light for a subtle sparkle. 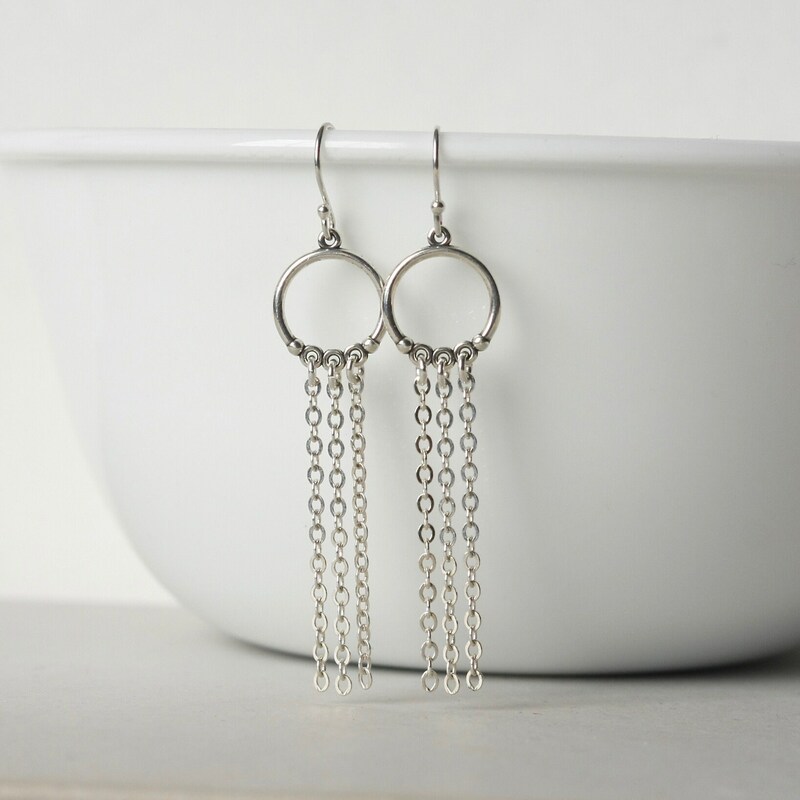 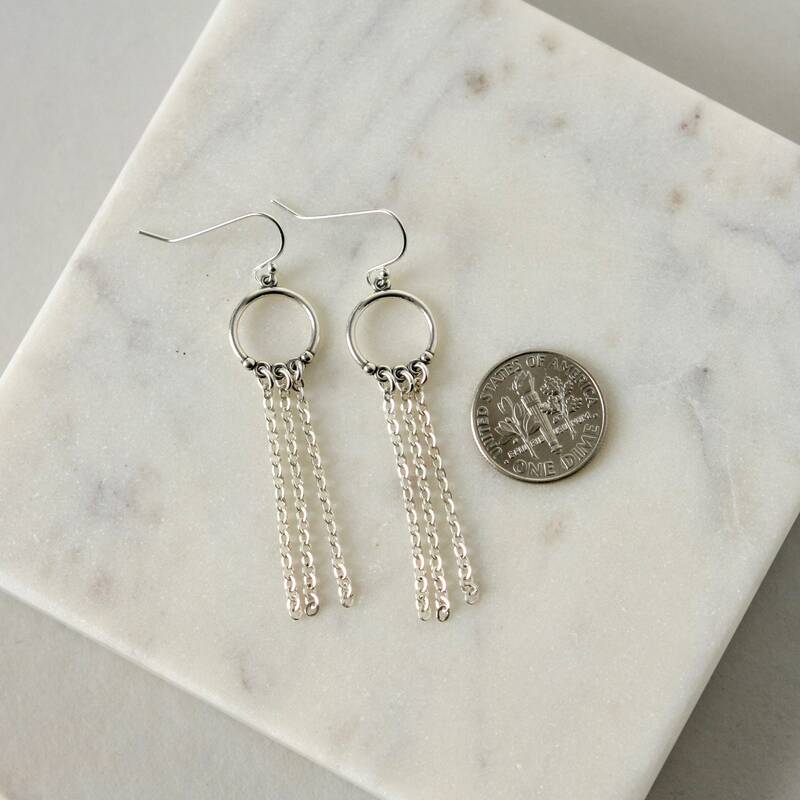 The earrings are lightweight and comfortable and dangle about 2.25 inches from the top of the sterling silver ear hooks. 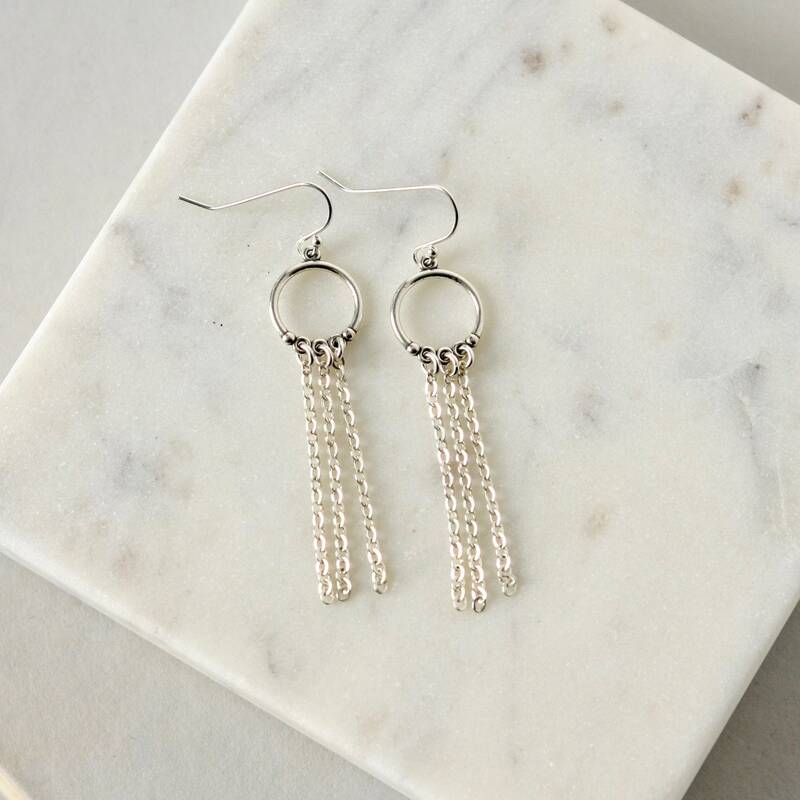 A geometric look that's both modern and elegant.